NOTE: The default value for 802.11e QoS is Enable. QoS will be powered on by default to provide the best performance for your wireless connection. The Disable option will provide better performance for the non-MIMO clients in a mixed wireless network. 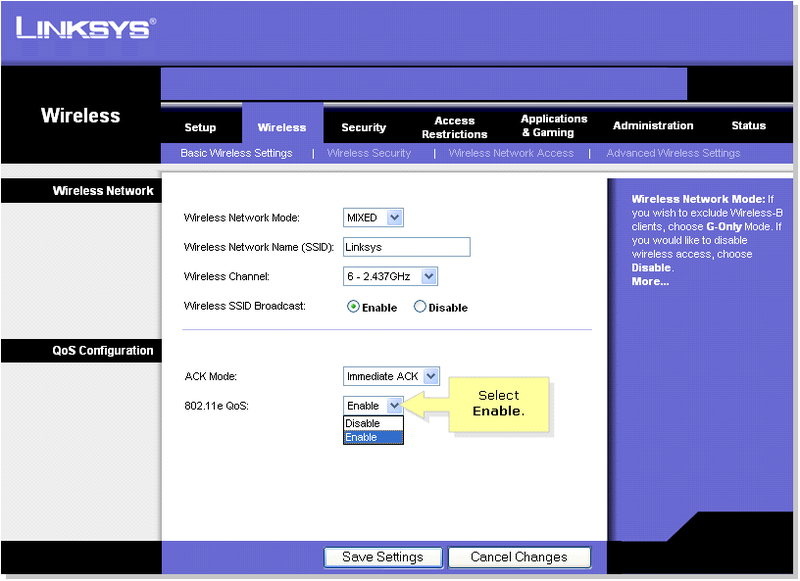 To make sure the Wireless QoS feature of your router is enabled, follow the steps below. NOTE: If you are using Mac to access the router's web-based setup page, click here. When the router’s web-based set-up page appears, click Wireless. Look for 802.11e QoS and make sure it is set to Enable. If it’s not, select the Enable option.